Heat a gas grill to low. Place the ribs in the pan. Pour the bbq sauce over the ribs. Place the pan on the grill and cook over low hear for 2 and a half hours. Description: Fall off of the bone goodness! kml9876 : Sorry my site doesn't have that capability. It is just a simple site that my husband made for me to post recipes. 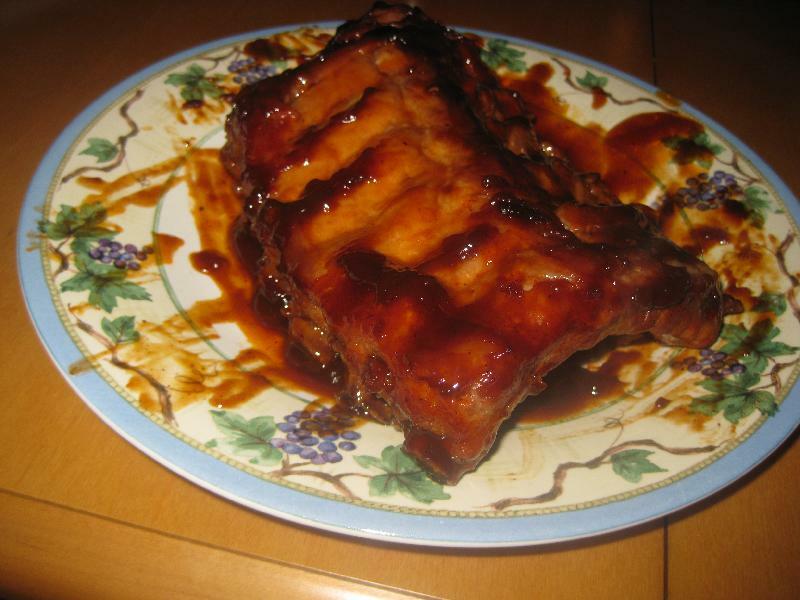 anonymous : I looooove ribs!